Homeowners today have many options when it comes to their ceilings and walls. In the past, the labor-intensive installation of plaster walls and ceilings was the only available option. But since the advent of gypsum wallboard, homeowners can now cheaply and quickly replace their old interior surfaces. Also, gypsum wallboard is the most commonly used product for walls and ceilings in newly constructed homes. Read on to find out if gypsum ceilings and walls are right for you. Gypsum is a common mineral found in sedimentary rocks on every continent. Its use goes back thousands of years to the great pyramids of Egypt. In modern times, it is used to make wallboard and plaster products for both residential and commercial buildings. Drywall, also known as wallboard or Sheetrock, is a layer of gypsum sandwiched between two sheets of thick paper. Gypsum ceiling tiles are smaller and are used in suspension ceilings, also known as suspended ceilings. Drywall generally comes in sheets 4 feet by 8 feet. There are other sizes as well, such as 4 feet by 12 or even 16 feet. Also, drywall comes in varying thicknesses, from 1/4 inch to 5/8 inch. 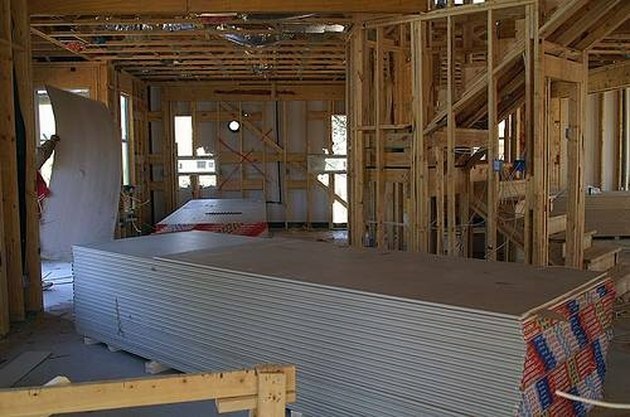 Since gypsum is not flammable, some local building codes mandate that 5/8 inch drywall be used in garages and over furnaces in order to provide extra fire protection. Since drywall is susceptible to moisture damage, it is only used for walls and ceilings in the interior of buildings. Drywall can be fastened to either metal or wood studs. 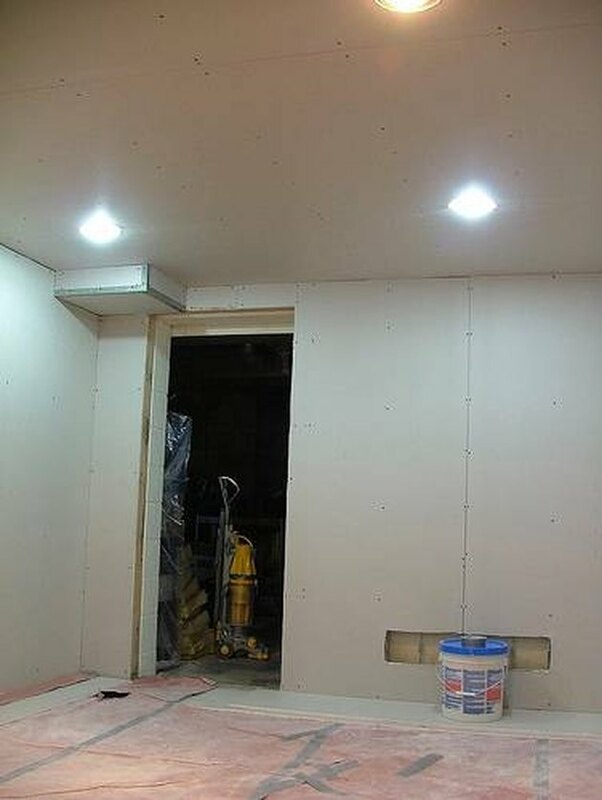 The drywall panels are cut to size and attached to the walls and ceilings using drywall screws. The joints, or lines where two separate drywall panels meet, are then filled with drywall compound and covered with drywall tape, a narrow strip of special paper. After drying, the tape is coated repeatedly until it is hidden. Tool marks or ridges are sanded smooth. Finally, a coat of primer paint is applied to ensure a uniform surface for final painting. Ceiling suspension systems are composed of a lattice that is suspended from the ceiling by string or wire. Ceiling tiles are laid upon the lattice. Suspended ceilings are often used in offices and commercial buildings. Different gypsum ceiling tile designs provide different acoustical and aesthetic qualities. They are available in many varieties. The installation of the tiles is not difficult, but the installation of the suspension system is generally performed by professional installers. 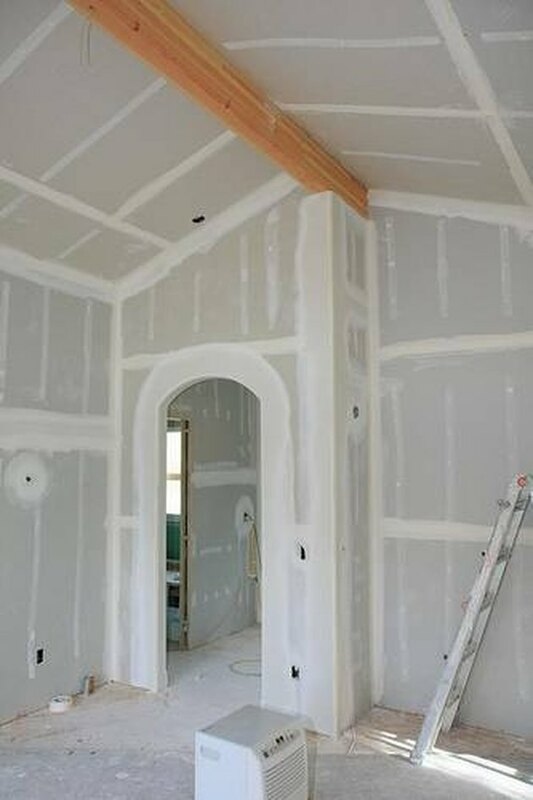 The key advantages of drywall over other forms of walls and ceilings are its relatively simple installation and its low cost. Although experienced professionals will deliver the best quality, it is possible for homeowners to install and finish drywall themselves. There are a few disadvantages to having drywall walls and ceilings. Gypsum does not absorb sound very well, so other types of material may be preferable if soundproofing is a concern. Also, gypsum products are very susceptible to water damage. For areas that have high moisture content, such as bathrooms or dank basements, you will need to use a chemically treated gypsum wallboard that is moisture resistant.